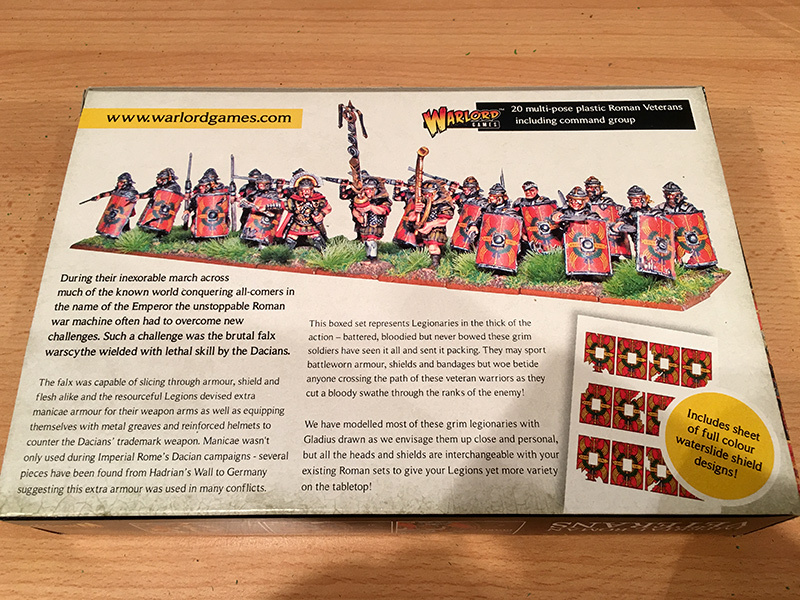 My first Roman figures have been put together, they are the Imperial Roman Veterans from Warlord Games ‘Hail Caesar’ series. 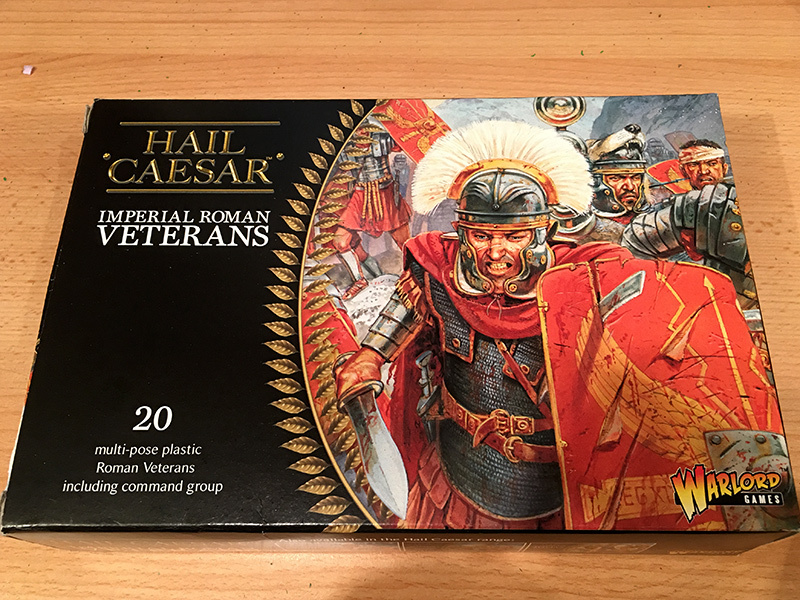 I got these together with three other boxes of various Romans from Caliver Books via their Ebay shop and they arrived two days later. You can see what they look like in the video below.